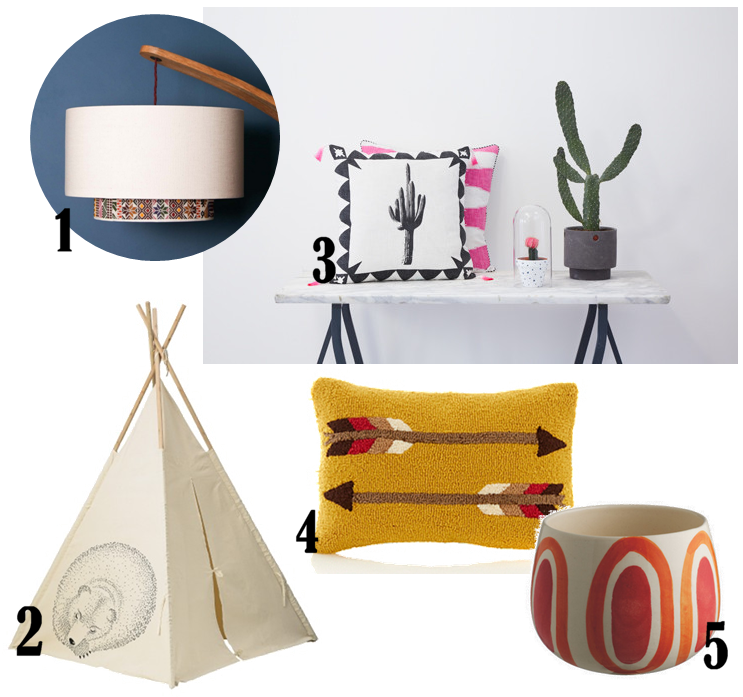 With the up and coming release of Pan we’re channeling our inner Tigerlily with a range of Native American inspired interiors. From aztec prints to cactus and arrow motifs, this is the perfect trend to celebrate the arrival of Summer heat (we hope) and the festival months ahead. Like this trend? For more inspiration have a read of The Jungalow, it’s a great source for bohemian styles like this! Summer naps in the Pocahontas tent anyone?